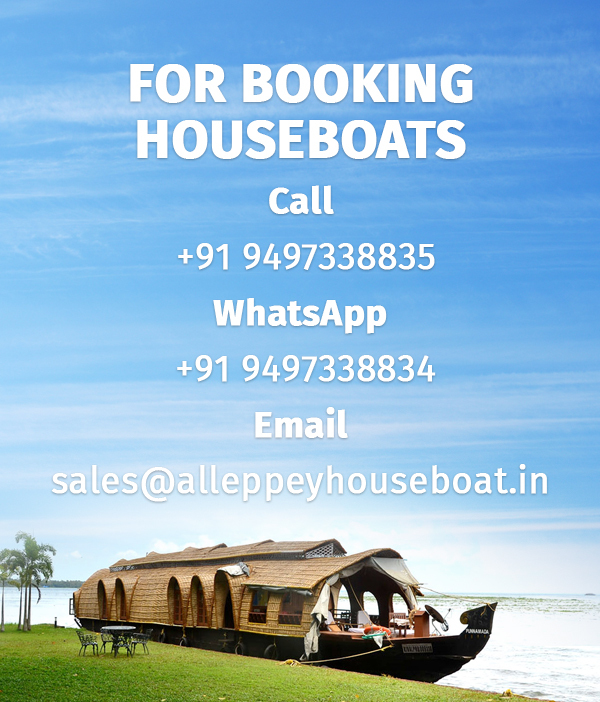 Normally opted by families and groups to explore the tranquil backwaters of Alleppey and the bustling rural life on its banks, 3- bedroom houseboats in Alleppey can accommodate 6-8 or maximum up to 10 guests. Deluxe, Premium and Luxury 3- bedroom houseboats are available. Food including lunch, evening tea, dinner and breakfast is included in the package. Traditional Kerala cuisine is generally served. The rooms decorated in traditional Kerala style are accompanied with attached bathrooms, living area, kitchen and upper decks.